Ruminants (that is animals such as cows, sheep, goats, camels, yaks and so on) have a much more complex, slower digestive system than humans. They pass food into a rumen (one of their multiple stomachs) which is basically a fermentation tank inside a cow. They also “chew the cud” which means they bring food back up into their mouths after it’s been soaked in digestive juices, acids and digestive enzymes, for a second and third chew, helping to break down the tough cellulose components of grasses and other plants they eat. Mother Nature covered them in hard shells (think sweetcorn) to survive breakdown from enzymes and microbes. She also filled them with chemicals which they give out if they are bitten into or broken open – these are the phytic acid, lectins and gluten and FODMAPs we hear about, the chemicals that are not good for us. Think of these compounds as the plant version of “chemical warfare” – this is grass’s way of surviving through the food chain. Grains, seeds, nuts, beans, legumes…all contain enzyme inhibitors and phytic acid, designed to help the ‘baby’ survive to reach the ground, where it can grow a new plant. Most creatures sense the effects of these digestive resistant compounds, and accordingly don’t eat grains and seeds as they know they are not good. This is Mother Nature’s ‘plant survival mechanism #1’. Just think of how sweetcorn kernels can go right through you and come out whole in your poop! See, that’s survival! Unless you physically break into each and every kernel with your teeth and break it open, then if you swallow some down whole, they can survive right through you and emerge whole out of the other end! But those creatures that can and do eat them can digest them with appropriate digestive enzymes, to break down those chemical compounds and extract the nourishment from those seeds. Humans are not ruminants, we cannot ferment and then digest these grains, beans and legumes. So we eat these things, and they sometimes try to start fermenting in our intestines. Ever wondered why eating beans makes you fart? That’s gas being released during fermentation. It’s the same with beans, in order to get the good micronutrients, and the carbs and proteins, your body has to deal with compounds like phytic acid, which actually binds to minerals in your gut and causes you to poop out some of that goodness that you really wanted. We don’t need to go into it all in great detail, but phytic acid isn’t actually all bad. It has some health benefits too, and research into those is still ongoing. It’s really all a matter of balance. A little phytic acid won’t do you any great harm, so if you are enjoying a night out at a Mexican restaurant and beans are on the menu, there’s no need to avoid them, but if you are living a vegetarian lifestyle and eating beans every day as a staple of your diet, then you may be consuming too much phytic acid and that could contribute to some mineral deficiencies in the long term. Nuts are also ‘a seed of a large plant’ and they too contain phytic acid, but this is rarely a concern as we tend not to eat nuts in vast quantities, they are generally eaten as a snack or a condiment, rather than as the bulk part of a main meal. Broadly, the MND way recommends dropping beans and legumes (peas, lentils, peanuts, soy, beans) from your diet. In all honesty, extracting the nutrients is not worth the down side of the ‘plant world chemical warfare’ that your digestive system has to deal with. I believe there are much better ways to get all those micronutrients, carbs, fibre and protein – vegetables, meat, fish, eggs and fruits. 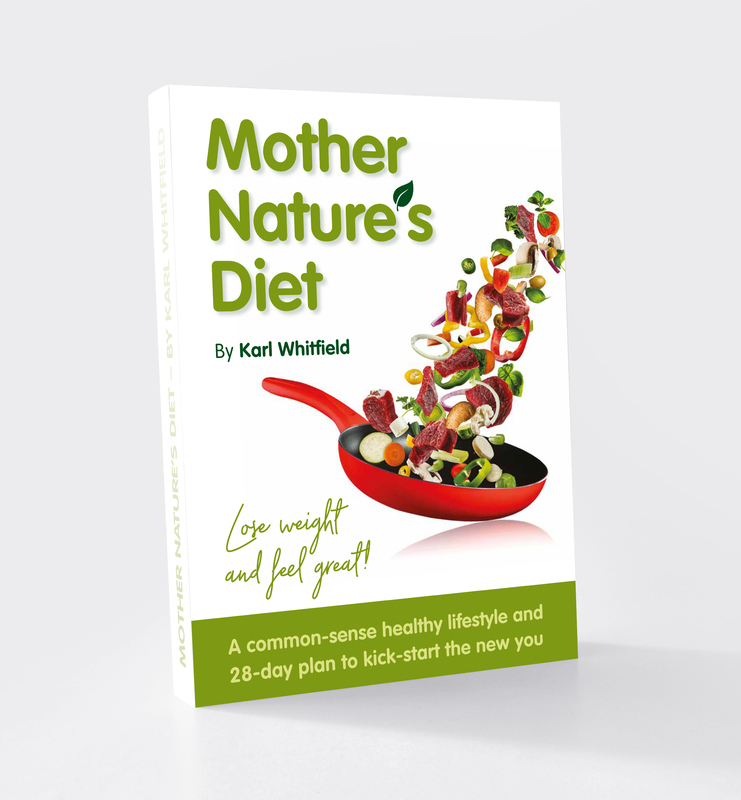 However, there are degrees of ‘purity’ and flexibility in any healthy way of living, and I have tried to design Mother Nature’s Diet to be a very flexible, relaxed, abundant way of living. If you are a vegetarian trying to live the MND way, and you value these foods for their proteins, carbs and micronutrients, then you can consume legumes, provided you learn how to minimise these negative downsides. Soak all beans first. Soaking and sprouting beans “unlocks the door” to some degree, releasing many of the ‘chemical weapons’, rendering those beans less harmful. Remember Mother Nature evolved some of these beans to survive the journey through an animal’s digestive system and emerge out the other end ready to grow? Soaking effectively prepares the seed to grow, unlocking those chemical defence systems. We shouldn’t eat grains and legumes unless they are soaked and sprouted or fermented. If you can be bothered to find the time for soaking and sprouting beans, and fermenting your grains, then including some of these things in your diet is OK. I sprout a few beans once in a blue moon, just to add to summer salads. But in all honesty, most of the time, I’m just too busy. If this appeals to you, learn to ferment your grains and sprout your beans, so you get the best of these products, not the worst. We should, in a perfect world, soak all nuts and most seeds before we eat them too, but again, life gets busy, and time is always in short supply, and this rarely happens for me personally. I sometimes remember to soak nuts before eating them, as I should, but often I fail. If you want to add ‘some’ grain to your diet, you need to buy good organic grains and learn to ferment (by soaking) them first. Beans are OK from time to time if soaked and sprouted. Nuts should all be soaked. However, personally, I constantly find myself pushed for time, and I believe I can get absolutely everything I need from superior choices in my diet. I eat 15 to 20 servings of vegetables and fruit every day (typically 14 veg and 3 fruit) and I generally eat meat, oily fish and eggs every day. I regularly eat organ meats and a broad variety of meats, not just chicken! I pack in, typically, at least 6 or 7 servings of fibrous green veggies every day, plus a variety of coloured veggies every day – reds, yellows, oranges, purples. With all that protein, natural carbs, good omega-3 rich fats, fibre and vitamins and minerals going in, there really is no room in my diet for inferior food choices. If you want to eat corn-on-the-cob dripping in melting butter…then a few times per year, providing you chew it thoroughly, it really won’t do you any harm. If you munch through a bag of almonds that you didn’t soak first, because you are out ‘on the road’ and it was a vastly healthier snack option than McDonalds, then I’m not going to give you a hard time about it. If you visit friends for dinner and they have cooked a curry and used lentils, one night it’s not really going to do you any great harm. An occasional dip of a carrot stick into hummus isn’t going to kill you (and I admit it is yummy!) But the majority of the time, I suggest you just avoid these foods. See, this is MND Core Principle 12 in action – get it right 90% or more of the time, then don’t sweat the small stuff, just chill out about the minor details. As I developed MND, I figured that my core ethos is to create a lifestyle 99% of people can adopt without hassle, I see MND as a “21st Century Survival Guide”. I think the majority of ordinary people get to Tesco or Asda and stand there with around 60 minutes to spare, a week’s grocery budget to spend, and a family to feed, and they need to know how to make the best decisions without faffing about meeting the strict and detailed guidelines of some ‘weird’ diet with tight rules. If I told everyone to start fermenting grains at home and soaking and sprouting beans, whilst laudable and correct, I think the majority would say “I don’t have time for this crap” and cast the whole thing aside. So I developed MND to say “nothing processed, drop the grains, just eat plants and animals” because it’s simple and easy to remember, and applies to 99% of people. There are exceptions, there are variations, but generally, it’s simple stuff. You can go to the supermarket, buy veggies, buy fruits, buy some meat and fish, gets some eggs for breakfast, a few nuts and seeds to snack on, and you’re done shopping. Is it 100% perfect? Not for everyone, no, there is no perfect ‘one size fits all’, that’s just not realistic. Is it the most technically, scientifically accurate nutrition plan the world has ever seen? No, certainly not, because the reality is that 95% of normal people, busy mums and dads with demanding jobs and demanding children, don’t have the time to mess about, nor the mental inclination to care about trying to achieve dietary perfection. What people want, is simple guidelines that are easy to remember and easy to work with in any British supermarket. The level of simplicity built into the 12 Core Principles is easy for most people to grasp and remember, without needing to take pages of notes to the supermarket with them. If you can’t ‘see it’ in your mind’s eye, flying, swimming, crawling, running, growing on a tree, bubbling up from the ground on a root or hanging on a bush, don’t eat it. If it has a long list of ingredients, a barcode, a label and it is packaged with a shelf life, don’t eat it. ← Mother Nature’s Diet FAQs – Why avoid grains and starchy carbs?